Why not have a maximum rent? 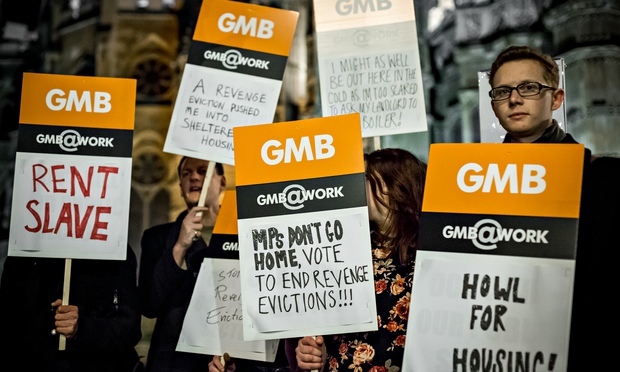 In the 2015 general election, various parties of the left promise to introduce rent controls. Labour’s police are the most detailed. They would extend the minimum term of private sector tenancies to three years, during which a landlord could only increase rent once a year, and there would be an upper ceiling to rent rises in accordance with the general increase in any particular area. Allowing increases but capping them to an amount above inflation would, it is said, strike a fair balance between owners and renters. The Green Party’s proposals are more radical: they would allow rent rises but cap them at a level below inflation. Left Unity’s are more radical still; they would allow no presumption of a rent rise, but to increase their rents landlord would have to show some necessity, for example to repair and refit the rented property. While all of those policies are admirable, and all are have a connection to the UK’s very long history of rent control (c1915-1989), which worked by a similar mechanism of capping rent rises, I wonder if any of them go far enough. The mathematics of private renting are staggering. Between 1991 and 2013 the proportion of renters more than doubled from around 7% of household to 16%, representing 3.8 million homes and 9 million people. By November 2014, the average private sector rent in the UK was £10,488 a year. At this level it represents over 40% of the average gross salary of £25,080 and a shocking 52% of the average net salary of £19,962. Now all of these figures are averages, and no-one lives the perfectly average life. The typical renting home comprises a little under 3 people; probably a couple and a child – ie with any luck two incomes. So the number of people actually spending over half their disposable income on housing “should” be in the hundred of thousands rather than the several millions. Then again, both incomes and rent figures will also be heavily distorted by London, where rents are double the national average and incomes are higher (although not double the average). Certainly, in London, it must typical for single renters to be spending over half their net income on rent. In a context where wage growth is low, an offer to cap rent rises is a proposal to keep things as bad as they are now. Here then is my alternative suggestion. In an economy where millions of wages are increasingly fixed by national measures (the national minimum wage the living wage, etc), we should extend the same principle to housing, and say that no landlord should be allowed to charge a rent greater than a maximum of £50 per bedroom per week. For a single person on the national minimum wage of £6.50 per hour, and working 40 hours per week for £260 per week gross and £233 per week net, this would have the virtue of capping all single bed properties at a budget which is broadly within their reach: £50 per week is 19% of their gross salary, and 21% of their net salary. Assuming that the present average rent of £10,488 per year is charged for a two bedroom home; my suggestion is that the maximum rent for a property this size should be £100 per week or £5,000 per year altogether – ie a bit less than half of the present market level. It may be said that these proposals would disadvantage those families of the wealthy such as the Camerons who only “get by” through making a profit on around 6-8 owned homes. But – bluntly – why should anyone be subsidising very wealthy individuals in stockpiling houses and using their private wealth to force millions of much poorer people into debt?